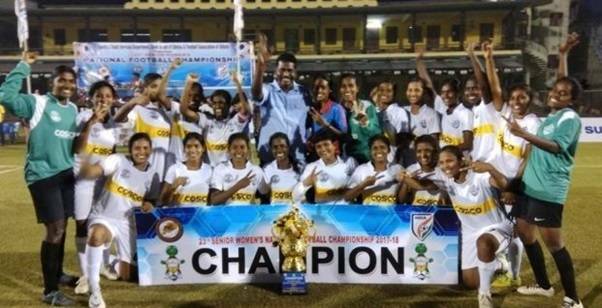 Tamil Nadu women’s team was crowned as the Senior Women’s National Football Champions for the first time as they beat favorites Manipur 2-1 in the final of the 23rd Senior Women’s National Football Championship at Cuttack on 14th February 2018. Tamil Nadu making their maiden appearance in the final of the Women’s Championship stunned the Manipur side by opening the scoring in the 3rd minute by Indumathi. Early in the game, the Manipuri side was caught napping as Indumathi powered her run weaving through a couple of defenders in the opening minutes and slotted it past the keeper with a neat finish to give Tamil Nadu an early lead into the game. 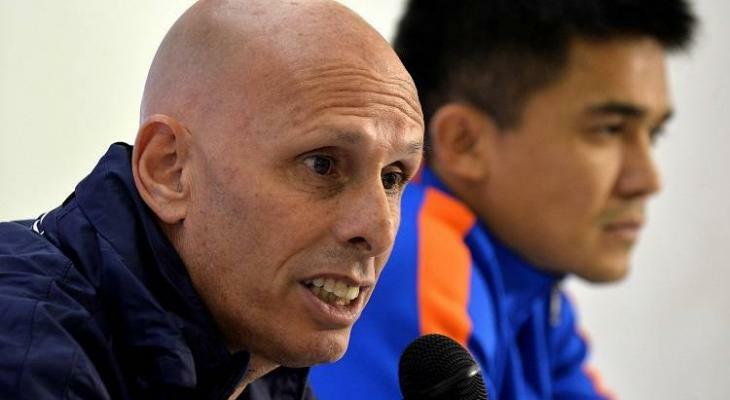 Stunned by the early goal Manipuri girls threw all their attacking resources and kept knocking on the Tamil Nadu backline vehemently as they pushed their players forward in search of an equalizer. 40 minutes into the game Tamil Nadu shocked the defending champions as they doubled the lead through Indhrani to make it 2-0. In the second half, Ratanbala reduced the margin for to make it 2-1 on the 57th minute as they looked for their second goal for the equalizer.Manipur had total control over the game as Tamil Nadu defended deep into their own half in numbers. 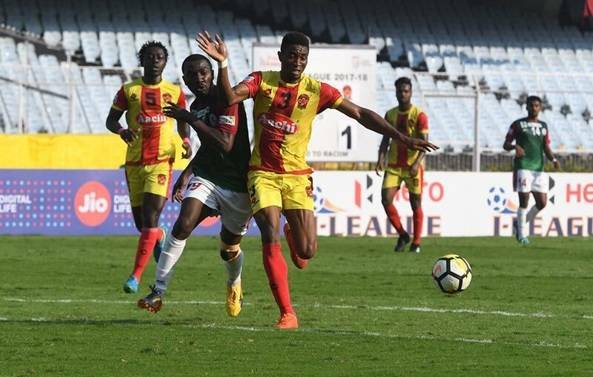 Manipuri forward of Bala-Grace-Ratanbala kept pressing the Tamil Nadu defense and Tamil Nadu were forced into some desperate defending in their own half for the major part of the final 30 minutes. Tamil Nadu had a chance to score from a counter attack as Manipur backline was left unguarded on the 66th minute, but Nandhini failed to nail the game as she missed a golden chance to put the game beyond contest. Tamil Nadu held on the lead and defended the narrow lead to script a historic win in their maiden final to win the 23rd Senior Women’s National Football Championship.